A 92-year-old man from Bognor Regis has been found guilty of three driving offences after hitting another car in a McDonald’s car park. 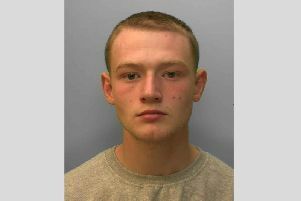 George Connell, of Pagham Road, drove into a grey Citroen Berlingo in the car park in Bognor on January 23, causing damage to the rear bumper and tailgate. Appearing at Worthing Magistrates’ Court on Tuesday, Connell was convicted on three counts, including failing to report a road accident, driving on a road or in a public place without due care and attention, and failing to stop after a road accident to give his name and address to the owner. Connell, whose daughter spoke for him at one point due to his poor hearing, had said he did not see any damage when he got out to inspect the car. But he accepted that he should have reported the incident. In passing sentence, the magistrate said he had a ‘degree of sympathy’ for Connell. But nonetheless he was obligated to fine him £80 for the first offence as well as a £20 victim surcharge, with court costs waived due to means. Five points were also added to Connell’s driving license.